Older homes in Toronto may still have unlined chimney flues, that means there is no liner inside of the chimney—it’s simply a double or single wythe brick chimney keeping smoke and gases encaged. A single wythe chimney is made up of one wall or layer of bricks that measure approximately 4” in width. A double wythe brick chimney with no liner is similar but includes an additional layer of solid brick between the exterior and interior of the chimney. A flue liner can be placed inside single or double wythe brick chimneys. Liners are made from a high-temperature fired clay, tile, or other material. The liner runs through the center of the chimney and funnels all smoke and gas while providing a protective barrier that contains fire, smoke and gases as they exit through the chimney. 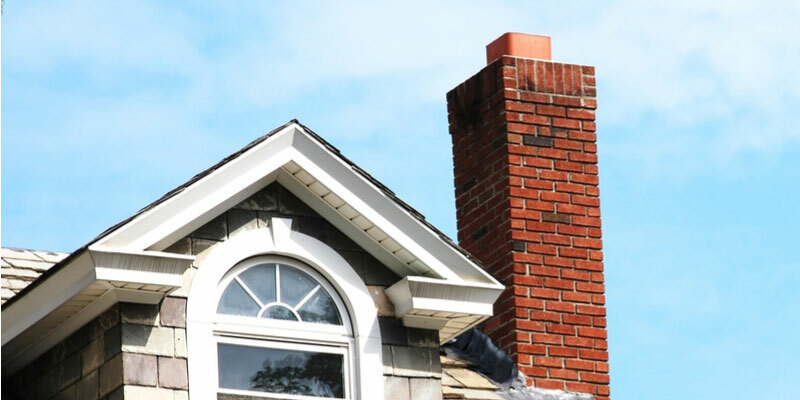 While older homes were commonly constructed with unlined chimney flues, newer construction almost always involves the addition of a chimney flue because it is much safer and more effective. You can add a chimney liner to an unlined flue but it is not mandated by law to do so in all areas. In Canada, it is legal to install a single wythe brick chimney with no flue liner. In the US, the addition of flue liners is required, or at least recommended. 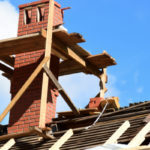 The reason for this is because unlined chimney flues can be incredibly dangerous according to several investigative reports. Researchers have found it takes as little as 3.5 hours for heat moving through an unlined chimney to catch adjacent woodwork on fire. Creosote is a tar-like substance that builds up along the walls of your chimney. It’s highly combustible, which is why it needs to be cleaned off on a regular basis. 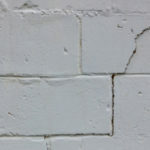 A buildup of creosote can cause a fire no matter what, but when this sticky substance coats bare bones masonry the outcome can be even worse. 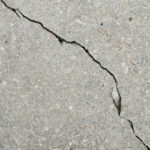 Researchers noted that flue gases are acidic and attack mortar joints from the inside out. Without a flue liner, there is nothing to protect masonry from these acidic substances. That means unlined chimneys require more frequent repairs to prevent serious damage. It also opens the potential for dangerous gases to get inside your home. A flue liner is designed to help wood stoves, fireplaces and gas or oil furnaces burn more efficiently. A poorly sized or nonexistent flue can lead to additional creosote buildup, as well as the dangerous production of carbon monoxide. The biggest downside to unlined chimney flues is that you lose a layer of fundamental protection. That means if a brick splays on the outside of your chimney structure or mortar starts to break down, the potential for a gas leak or fire goes through the roof. A double wythe chimney is safer because it involves two layers of bricks, adding more protection in case something goes wrong with one layer. But the safest move is to install a lined chimney flue. Do you have questions or concerns about your chimney? 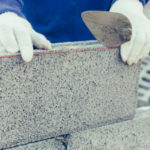 Contact the trusted pros at Turnbull Masonry. See firsthand why we remain Toronto’s number one name for all masonry and chimney needs.